NHK's Shibuya Anime Land radio show announced on Friday the 10 finalists who will compete to be crowned the number one anime heroine in the past 50 years. The poll celebrates the half century since the premiere of Japan's first major broadcast of anime with the airing of Mighty Atom (Astro Boy). 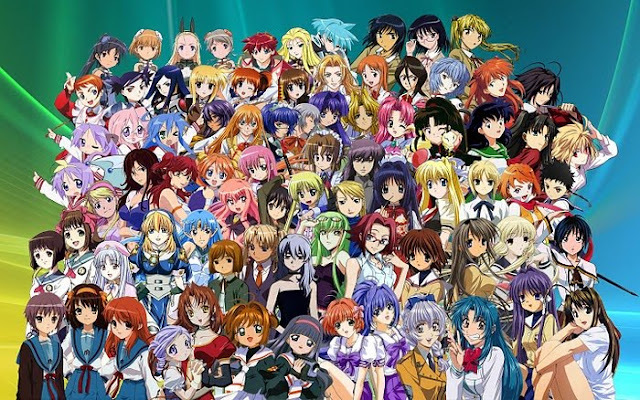 Fans voted for their favorite heroines to create this finalist list. These 10 will then compete for the top honor in a live radio show on January 2. Google's been on a roll with software and feature updates this past week or so. Today's update of Google+ for Android brings more changes and awaited updates. Highlights in this release include new photo features, including better Photo sphere support, and integration with the newly-launched G+ Communities feature. The new Google+ app will land later today, along with new features for the desktop version of Google's social network. New photo stuff -- Instant upload now offers up to 5GB of full-sized photo backups. Photo sphere panoramas recorded on Android 4.2 can be viewed on devices running Android 2.2 or higher. Events and communities -- Communities support for the mobile app. And it's now possible to send messages to individual event guests and see who's opened invitations. Hangouts -- Now only 150kb of bandwidth is required to participate in a hangout. General improvements -- The ability to edit your profile on-the-go, new "subtle" notices when new posts arrive, and improvements to the posting menu. Google Now integration -- Birthday notifications through cards on Google Now, including G+ links to wish the person a happy birthday. Other goodies -- Animated GIF support and a lock screen widget for Android 4.2. Also, new "mood" posts based around a gallery of emoticons.